Can Facebook Graph Search Compete with Google? It’s some time ago now that we first heard the news that Facebook had taken on a number of developers to work on a search function for Mark Zuckerberg’s baby. Since then, speculation has been rife on how Facebook intended to use search and whether it was likely to be a long-awaited rival to search emperor Google. However, Facebook Graph Search was announced on Wednesday 16th January and for the moment, doesn’t appear to be a contender to knock Google off their perch any time soon. This is because Facebook’s answer to the search question only allows people to search content contained within the social network’s own database, rather than the entirety of the web. This means that users can search for anything that has been shared by friends over the years, such as photos, locations and interests, using the “friendly” and intuitive search interface. Presently, the function is still in beta and only available for testing to those in the US, so the rest of the world will have to continue waiting until they can test the new feature out for themselves. Facebook Graph Search – What does it do? At its heart, Graph Search means that users can search for anything relating to people, places, photos and interests. That’s a lot of data when your network has an active user base of more than a billion. Graph Search allows users to enter a phrase such as “restaurants in Paris” to see if a user’s friends have mentioned it in the past. Using check-ins, interests and photos, the search results bring back a list of those who have tagged themselves in a location or shown interest in what is searched for. The idea is that users can then ask each other what they thought of that particular restaurant, shop, service and so on. As we know, social network users are far more likely to buy/use a product that has been recommended to them by a friend, so it makes sense to set search up in this way. In other words, Google weren’t the intended target for search as much as Facebook users were. This also makes sense – Facebook are using what they already have to monetize the site, rather than taking on tough competition in the first instance. 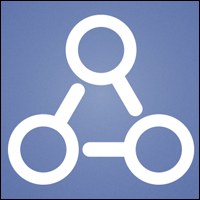 Facebook Graph Search – How does it work? Well, the search feature, which is powered by Microsoft’s Bing, is akin to a massive, searchable database of everything that anyone has ever shared with each other on the site, ever. This includes likes, photos, games, comments and so forth and is described by Zuckerberg as being “privacy aware”. Looking first at the potential for businesses, well-managed Pages, that have plenty of quality fans are likely to show up in search well. For Facebook, I would imagine that this is something intended to increase advertising revenue in the future, as surely advertisers would be given premium results in search, especially those who use location. The term “privacy aware” could of course be a dig at Google, who are still under investigation for breaching privacy laws in some countries around the world. Zuckerberg somewhat backs this theory up, having said at the launch of Graph Search that the two companies had locked horns in the early stages of Facebook search development. “Microsoft was more willing to do things that were specific to Facebook. Google has a system that works really well for them about how they treat information across their company, and I think that our system was different in ways that people share information and want to give them flexibility after the fact – that was the biggest stumbling block” Zuckerberg explained. By this, Zuckerberg meant that the two firms had fallen out over the way that search can be changed after the fact, depending on whether users had since gone in and changed the Facebook privacy settings after first being indexed. Whilst at the moment, Facebook isn’t monetizing the function, following the disaster than was their IPO this year, this is something that is bound to change soon enough, once the feature is rolled out across its users. The question is, will it be enough to compete with Google for paid search? After all, Google has the entire web to target, despite Facebook’s massive user base. My Social Agency is a digital marketing agency with teams in Leeds and London. Get in touch today to learn more about our social media marketing and search engine optimisation services.